And the envelope is also badly triggered. I deleted the trig out, but i did not have to. I transform gate 5V or 12V, near 15V. the x0xb0x and 303 have an output protection resistor and diode on the gate out. this sometimes causes poor triggering or no triggering. ^What guest said. I’m sure I recall reading about this exact issue with a Sequential synth on the x0xb0x forums while looking for something else. Pro-One gate is defintely 5V. I have measured it, and also just hooked up my PRO2021 clone to a real Pro-One via CV and Gate and it worked great. Just like playing the synth itself. 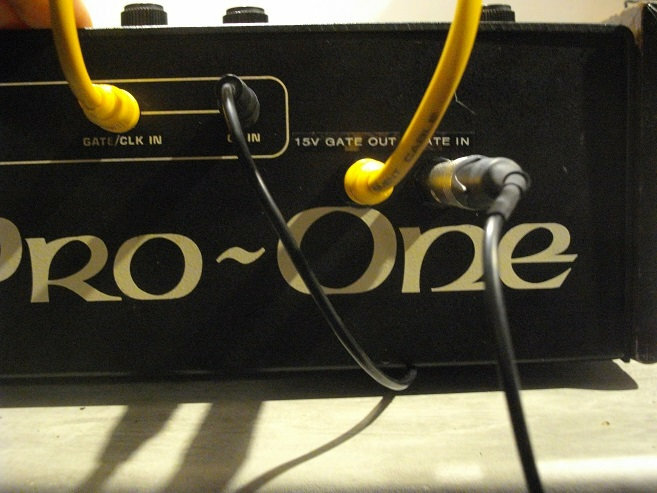 On the Pro-One, the Gate IN simply goes thru a protection Diode (1N914) and then straight to the envelope chip (CEM3310). The spec for the gate signal is +2.4V on to +Vcc (15V), so it is quite forgiving. Yes i measured the gate out and i saw that it transmitted 5V. But i did not have a 2nd pro one to try. I did it with an additional circuit that lowers the 12V gate from a x0xb0x to 5V. I did some research on google and found no topic for discussion on this issue. It is often said that Roland, sequential and ARP are Gate compatible, as this is not always the case and it is often more complicated than it seems. If anyone has a link to the forum discussion topic adafruit? I want to see because I did not see that. For this to work, with x0xb0x, it might be enough to replace R137 with a lower resistance? I will try with a x0xb0x, i had not thought of this hypothesis! 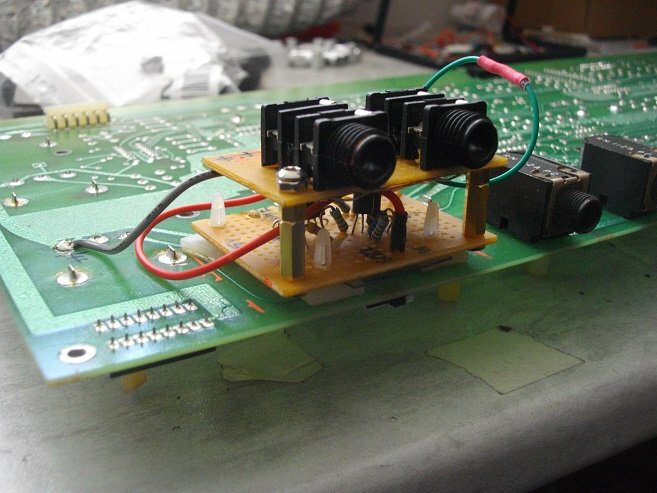 you could just jumper the diode and resistor for a quick test to see if it works. but, if your other circuit works, just call it done! its a nice build you did to keep it inside the synth. Yes i just tried, replacing R137 and D34, by jumpers on a x0xb0x. Ilt's perfect! If not initially, which synthesizer could sequence the TB303, obtaining a satisfactory result, that is to say correctly trigger the enveloppe? Without any modification. 30 years ago, what Roland synthesizer was made to work with? it was meant to sync with the 606, but it had dinsync for that. 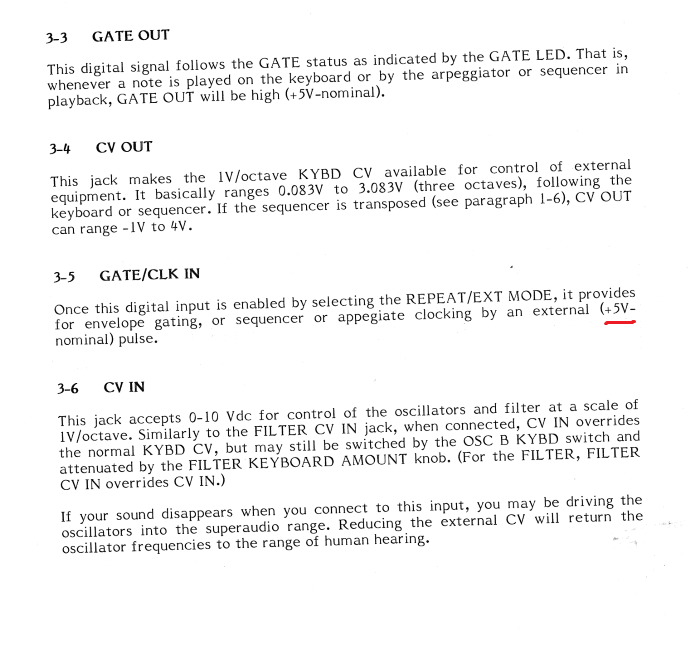 the gate and CV outs can work with most roland gear of the time, as they had NPN transistors as the gate inputs stages, with pulldown resistors. the pro-one doesnt have the pulldown resistor, so the diode just charges up the cap, and leaves the gate on.